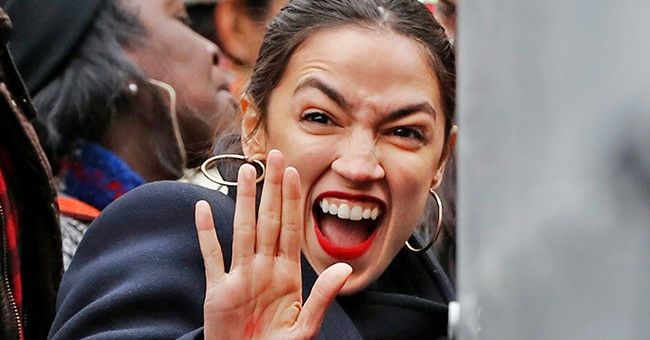 Trump Syndrome is in full flower one day after the Mueller Report has been rendered into the possession of AG Barr and before a syllable of the report has been released to congress, the white house, or the public. A quick perusal of the face page of Yahoo reveals the rampant ‘TS’ in the MSM. “Why Trumps aids lied t protect him…..” and a mob of similar headlines are cascading from wherever such flotsam floats. After well over 30 million dollars and thousands of man-hours search, researching, grilling witnesses in minefields of perjury traps and hanging hard time over their heads for infractions of the law years before Trumps campaign, and years before they even met Donald Trump. I include this link for your perusal. The word lie is sprinkled liberally throughout the piece but there are few if any statements as to the CONTENT of the lies. It is just a rather mind numbing repetition of so and so lied….and so and so lied……but no facts are forth coming. The content goes only as far as stating someone lied. Most of the charges levied in the investigation were directed toward Russian foreign nationals who had a huge ox to gore with Sec. of State Clinton, who was working feverishly to influence peddle with anybody who would be willing to pay. Who makes American Uranium stores available to RUSSIA? Hillary Clinton, that’s who! Conservative Sheriff David Clark backs president Trump in his critical opinion of the late Senator John McCain. The POTUS has sparked controversy over his feelings about the deceased Republican Senator and genuine war hero, John McCain. McCain, long referred to as a ‘Maverick” and a RINO (Republican In Name Only) was involved in bringing the false “collusion dossier” to light in a thinly veiled attempt to derail Trumps candidacy at the last moment. Another point of contact came in McCains voting against the rollback of Obama care in spite of previous assertions that he favored the removal/ repeal of The Affordable Care Act, (Obama care). Whether or not he has valid reason for not praising McCain is, at this point, moot. Speaking ill of a dead war hero shows a tin ear to public opinion. The POTUS cannot improve his position with this offensive speech. He is best served by dropping the issue and moving on, before, hopefully he damages his 2020 bid for re-election. This video is a gift for all of those who were a little reluctant when they voted for Trump. I was one of those short sighted people who were uncomfortable with his less than presidential demeanor. Now that I have seen the Herculean fight he is putting up to do what is right for this country I have gained a lot of respect for him. You go Trump! The following vid is very amusing and somewhat informative. But sometimes you have got to take life a little less seriously…….. The former acting director of the FBI, Andrew McCabe, just revealed conversations he and other FBI had concerning the 25th amendment being used to oust the POTUS from office. However, the 25th does not apply to any act of treason or malfeasance and could not be used to harm this president. It is obvious in the language of the Amendment. The 25th amendment was installed to deal with a president who, by physical or psychological disease cannot fulfill their duties as president. Mcabe did, however, reveal that the idea of a coup d’état had become water cooler talk amoung he and his cohorts. It is rather disturbing that this man did not fear any consequences following this disclosure. Does it speak to the depth of his delusion that most Americans sing chorus behind him? Or is he just stupid. For this admission is in essence a confession of hatching a plot for a coup! I think it is just stupidity. A fifth grader can read the amendment and tell you it is reserved for debilitating physical or mental conditions that would make the execution of his duties as president impossible. But the director of the premier investigative organization, the Federal Bureau of Investigation, could not get it right. STUPID! So we will call it a teddy bear. Feel better now? A lot is being said about the southern border and the barrier that POTUS is trying to get funded. A lot has been said and every word from the mouths of Democratic obstructionists about the necessity of a border barrier is false. The Dems have been pushing for a border barrier for years. 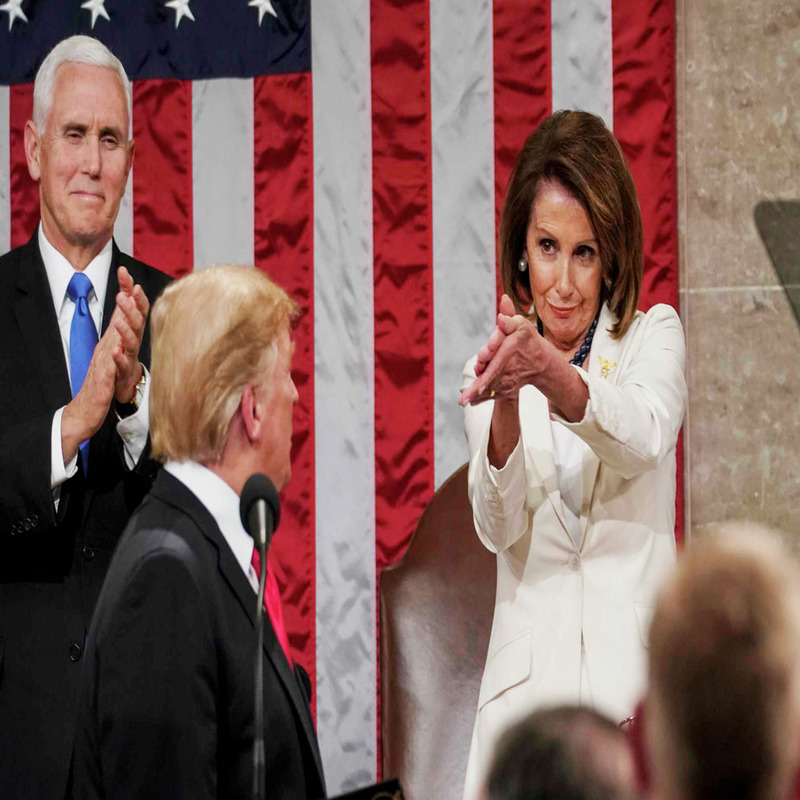 They could literally sand behind both podiums in the debate because they are attacking actions and attitudes that they themselves have touted as their own. 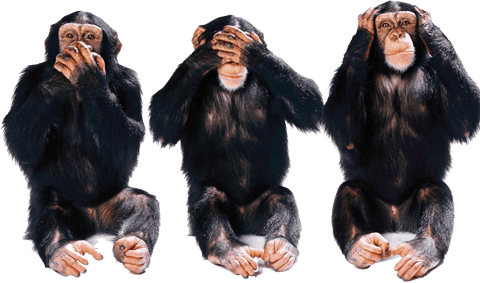 The three Democratic simians don’t say, Speak No Evil, See No Evil, Hear No Evil any longer. Now they are saying Speak No Truth, see No Truth, Hear No Truth.